From basketball to football or baseball to soccer, this sporty frame will really make him look like the future All-Star! 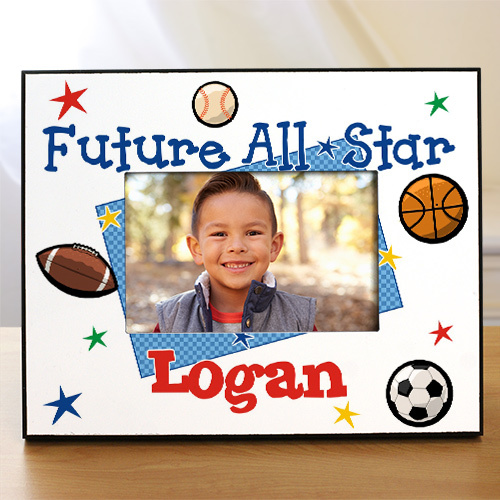 Add his name to the bottom of these Personalized Baby Frames and make this picture frame a keepsake he'll always enjoy. Great picture frame! Can't wait to give it to my son-in-law this Christmas.